I visited Hamburg for a weekend in early June to see the fabulous Brideshead play live in Hamburg. Apart from a gig at a band member's wedding, they had not played live for 7 or 8 years. 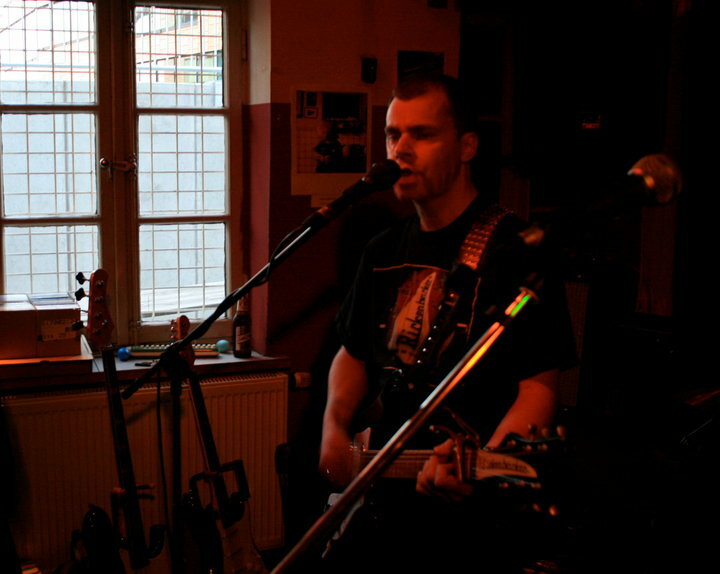 It was to be their second live gig following the previous evening's concert in Berlin. The gigs were organised to celebrate and promote a new 10 inch single containing 4 songs which they recorded last year. All the songs are excellent but one in particular, 'Love In June' is a classic. (I think they missed a good pun in not calling their mini tour 'Live In June'!) 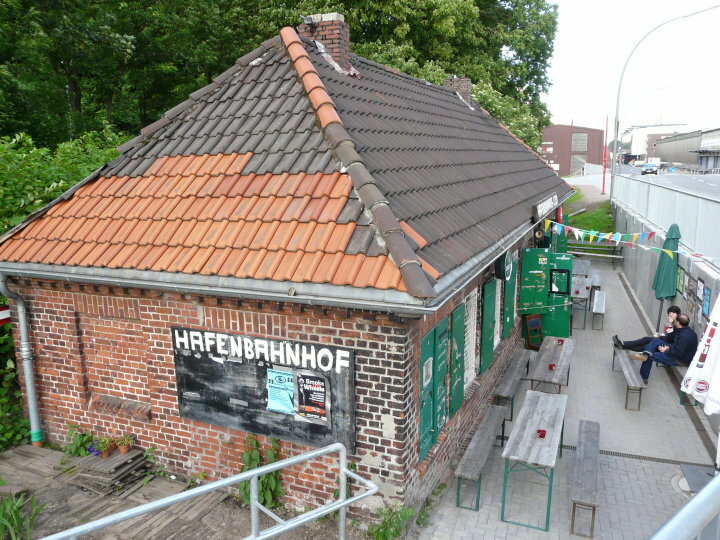 In Hamburg Brideshead were playing a small venue called the Hafenbahnhof - which is a disused train station on the harbour side now converted to a bar. Brideshead were being supported by Hamburg's Sleeping Policemen who were playing their first gig. A few days before I travelled, I was asked if I wanted to play a some songs so I practiced about six just to be on the safe side. On the evening it was all quite low key and I decided to play two songs. I plugged in Hanns-Christian's Rickenbacker 480 with the intention of playing two songs but as it went well and the audience was so nice I played a further song. I was asked later why I didn't do more. Well, always leave them wanting more...! Sleeping Policemen then followed and played a really great set. They've got some lovely songs and are super people. Sonja, the keyboard player and singer, gave me a nice demonstration of the Omnichord she plays and is a fellow Richard Hawley fan. Check them out here. Brideshead were excellent and played a lively set including the 4 new songs and other classics. I like them a lot as a band and as people. They're great blokes. I managed to video the whole concert, albeit it was a bit dark. The last time I supported Brideshead was in November 1998 and strangely the last time I did a solo gig in November 2002, it was also a disused railway station. All in all, it was a fabulous weekend and dispelled some of my reluctance to play live again. 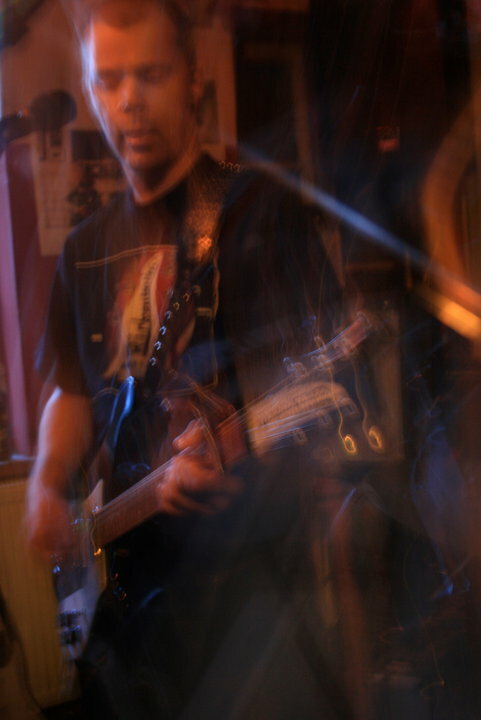 Check Brideshead's site at Myspace to hear some samples of the new songs .